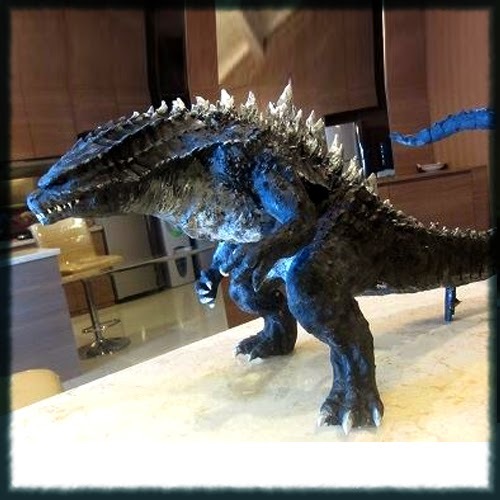 Japanese resident Chan Takashi has sculpted the closest thing to a preview of Godzilla 2014. The quote above is from his Facebook page and when translated expresses how fans had a poor reaction to the 1998 TriStar version of Godzilla. This disappointment was shared by Shogo Tomiyama, the man in charge of the Godzilla franchise, and Ryuhei Kitamura, the director of Godzilla: Final Wars. The 1998 Godzilla was given a completely new identity and renamed to just "Zilla", based on the feeling that TriStar "took the 'God' out of 'Godzilla'"
Changes to Godzilla's design from movie to movie is not uncommon. Godzilla has changed size, number of toes, eye color and even some versions are without ears. This new design looks promising if it is close to Chan Takashi's interpretation. The best part is the face. 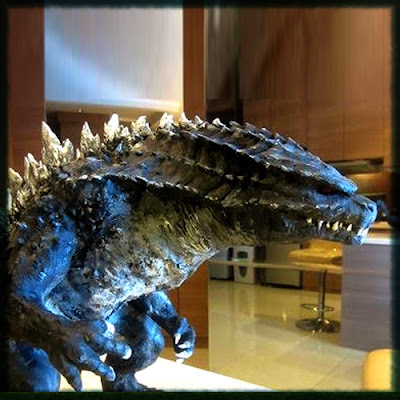 Chan has really captured what is essential to a Godzilla design; the low brow, the short dog-like muzzle. Another great part of the design is it still could be a man in a suit, the stance he chose for the pose is perfect. I always thought when Godzilla was standing still he reminded me of a boxer waiting for an opponent. 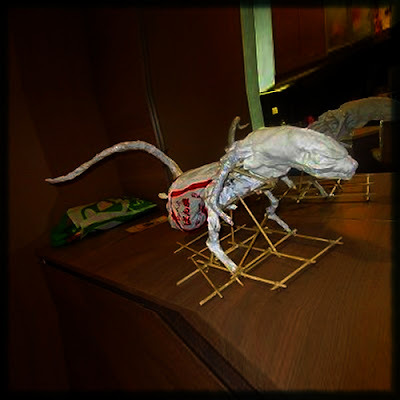 Chan Takashi built this on a base of chopsticks. and we hope he shares more. Great job Chan Takashi! The base of Chan Takashi's sculpture.